At Dunder casino, a lucky player has won 2.8 million Norwegian Krone when playing on a videoslot from Red Tiger Gaming. 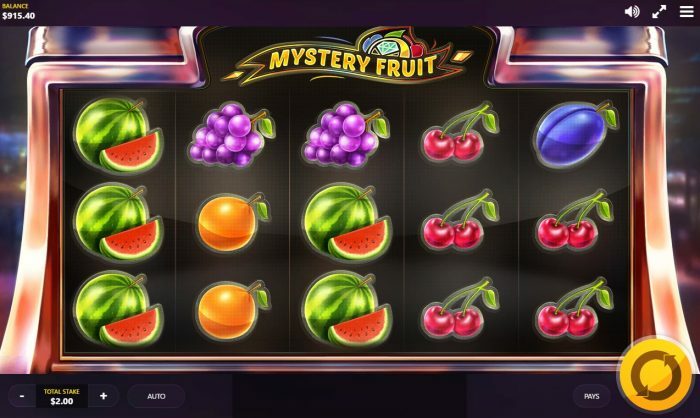 This lucky Norwegian won almost € 302k on the popular Mystery Fruit slot; a modern version of a classic fruit slot. This player received this Big Win on his account immediately, and it was wagering free, since he was not playing with bonus money. What does the lucky Norwegian say about his win? Play at Dunder and win too! What will he do with his winnings? “Well, I have started by buying the wife a nice big diamond ring. I will be booking a holiday for September and, when I am back, I will be painting the entire house and paying off my car.” That sounds like a very good start. No doubt that he will be enjoying all the profits from this big win in style, and secretly pinching himself to make sure it’s not a dream. Dunder casino has recently added the new software provider Red Tiger Gaming to their extensive offer of videoslots. They now offer all players an impressive slots variation made up of software providers 2by2 Gaming, Amaya, Aristocrat, Betsoft, Bluberi, Big Time Gaming, ELK Studios, Genesis Gaming, Leander, Microgaming, NetEnt, NextGen Gaming, Play’n Go, Quickspin, Rabcat, Red Tiger Gaming, Thunderkick, and Williams Interactive. You can try our these games through the use of the attractive welcome bonus at Dunder, with up to 200 free spins! At Dunder casino you can receive up to 200 free spins as a new player, of which 20 are no deposit. After your registration you will receive 20 free spins on Starburst. After your first deposit, you receive 20 more free spins on Starburst, plus 20 more even day afterwards for 8 more days. This leads up to 200 free spins within 9 days (potentially). Receive up to 200 free spins at Dunder!